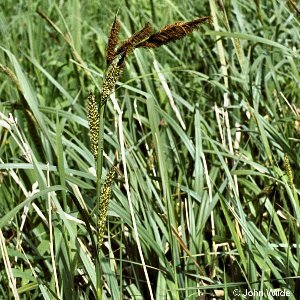 This Carex is found in base-rich marshes, ponds and swamps, particularly about Lough Erne, north Co. Armagh and in a few other sites scattered about Northern Ireland. 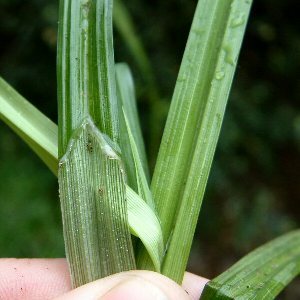 A tall species, up to about 4ft or more, similar in overall appearance to C. acuta. All names: Carex acutiformis Ehrh. ; Carex paludosa Gooden.